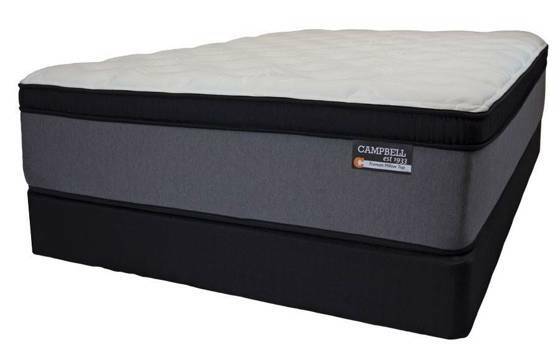 The Original Missouri Mattress Manufacturing Company became the Campbell Mattress Co. in 1933. The Heritage Collection of Campbell Sleep Products owes to this heritage of quality goods made locally, and has evolved, using the finest quality components to build high durability mattress sets that are designed to help you sleep better than ever. With Classic stylings and modern sleep technology, the Heritage Collection of Campbell Sleep Products will provide you years of deep restorative sleep. From simply improving upon age old designs with modern cooling components, to completely rethinking the balance of support and comfort your body needs to maximize the health benefits of the time you spend sleeping. The Heritage Collection provides the custom fit your body needs. Sleep great, sleep on a Campbell.